Home / Blog / Volunteer spotlight: meet Dan. What inspired you to volunteer at Feed More? : Soon after my retirement, I took a tour of the facility with a group from my church and decided it would be a good place to volunteer. I felt that Feed More provided a much needed service to the community. How do you lend a helping hand at Feed More? And how long have you been doing it? : I have been a volunteer for about four years. I work in the warehouse next to the store doing a variety of tasks such as sorting produce or bread, cleaning and repacking eggs and other needed tasks. 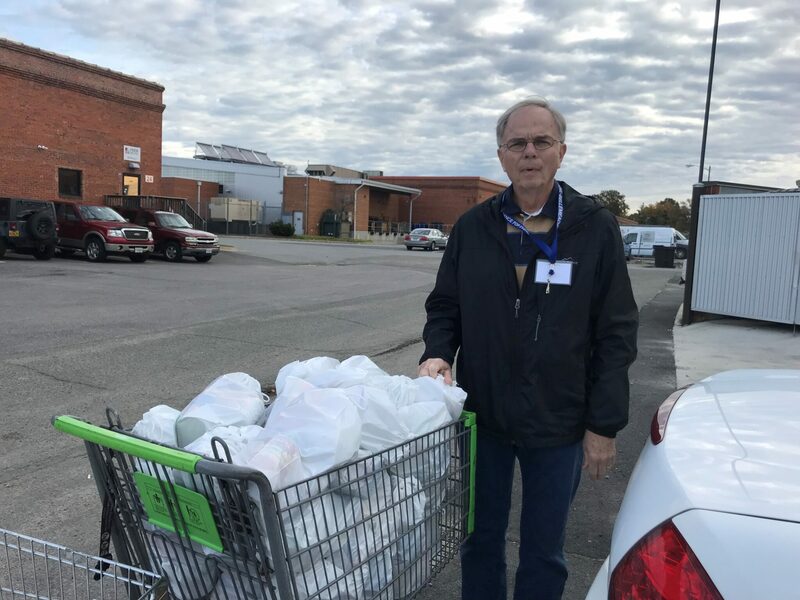 Other days I help sort nonperishable donations, I pack /make boxes for seniors for the Commodity Supplemental Food Program and I deliver weekend BackPacks to a local school. I also help with some of the special projects throughout the year. What do you love most about volunteering at Feed More? : Working with the people, those who are employed at Feed More and those who volunteer. They have become extended family. What is your favorite memory at Feed More? : Some of the special projects we have done, such as repacking beans, cleaning thousands of eggs and relabeling cans. Where is the coolest place you have traveled to and/or want to travel to? : I have been very fortunate to have traveled to some interesting places. The most memorable was a trip to Egypt. Seeing the pyramids, King Tut’s tomb, the Sphinx and other sites was a thrill of a lifetime. When you’re not volunteering, what is your favorite thing to do in Richmond? : My wife and I are movie buffs and we enjoy going to museums and other historical sites. Why should people volunteer at Feed More? : People should volunteer at Feed More because there are a variety of tasks for a variety of interests and anyone can help with them. But most importantly it is fun and people benefit from it, especially if you’re the one volunteering. My days at Feed More are always filled with joy.